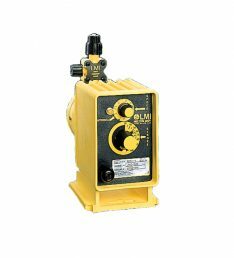 J5 Series LMI 12 Volt Pumps for Chemical Metering are specifically designed for remote pumping applications where AC electrical power is not available or accessible. There are hundreds of models that are designed with the power issue in mind and if you need help with any 12VDC pumps from LMI, please call us and we would love to help you with any questions you may have. If you have an exact pump model and you do not find it on our site, we can get it for you rather easy. Lead times will vary but we can get you the pump you need.